Meaning? Eight individuals own as much wealth as the world’s poorest 3.8 billion people. Eighty percent of the world’s wealth is owned by 20% of the people, and actually the wealthiest 1% own more than all the people who are below the 50% wealth level. These are numbers that simply cannot be explained by variations in work habits; in order for somebody to earn billions of times what others make, that person would have to work billions more hours. Similarly, our average IQ is 100, but there are no individuals with an IQ of 1,000, much less 1 billion. So how is it possible that some people have billions of times more wealth than others, even though they are not billions of times more diligent or intelligent? The answer appears to be luck. A team of researchers at the University of Catania in Italy created a computer model of human talent and the way people use it to exploit the opportunities they encounter in life. The simulations introduced random good and bad opportunities—that is, good luck or bad luck—across the spectrum of simulated life careers. Some simulated careers got more than their share of good luck, others of bad luck, just as some got more or less intelligence or work habits. The results almost exactly reproduced what we see in real life: that is, after 40 years, 80% of the simulation’s wealth was in the hands of 20% of the simulated individuals. But when the researchers looked at the levels of talent programmed into these most successful individuals, they discovered that they were never the most talented, intelligent, or diligent. 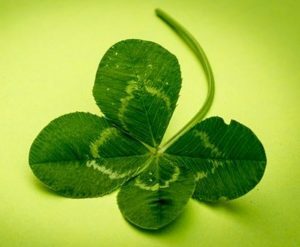 Those factors all improved success scores, but they were almost irrelevant compared with the one contributor that explained most of the difference in wealth: the number of good luck opportunities compared with bad luck setbacks that the simulated individuals encountered. The most successful individuals were the luckiest ones, and the least successful individuals were the unluckiest ones. The research team is now turning its data set over to venture capitalists and those who fund scientific research, who are hoping that they can overcome certain biases when it comes to where to invest. But for the rest of us, especially those of us who have been successful in life, this is perhaps an opportunity to take on a dose of humility and experience gratitude for the opportunities we’ve been given over our working lives.